Six times they felt the excitement and joy that came with the positive pregnancy tests. Two times they brought their precious children home. When Jerred and Kerrie Unruh started expanding their family in 2009 with the birth of their firstborn, Titus, a future journey of miscarriage wasn’t what they expected. But just a year later, the couple was ushered into a road of pain, loss, grief and surrender that would span the next four years. The Unruhs, with a 1-year-old, looked excitedly into the future as they planned for the arrival of their second child. Those dreams were cut short at the end of the first trimester, as Kerrie experienced her first loss. The physical pain was excruciating, Kerrie said, revealing that it was the worst pain she had ever felt, in every way. Following that loss, the Unruhs welcomed home their second-born, Elli. After Elli, the losses continued. Both Jerred and Kerrie said they felt a mix of sadness, anger, frustration and fear as they mourned each loss. Jerred said he felt a sense of helplessness as he walked with his wife through the experience. “[I felt] helpless--to have words of comfort, to stop the pain, to sustain life,” he said. And the couple remained close through every loss. Added to the pain and grief of losing subsequent children, Kerrie’s life also hung in the balance after losing her third child. 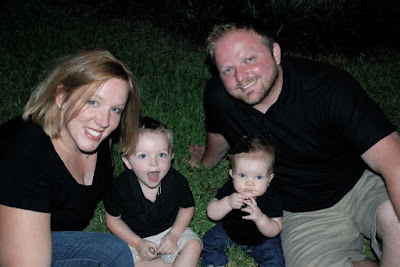 With Jerred away at a youth conference for his job as a youth pastor, Kerrie was at church with her children when she knew something was wrong. She had thought her miscarriage was over, but the pain started again during the church service. Blessedly, a nurse from the congregation named Janie took Kerrie home and stayed with her as Jerred rushed home. Janie later took Kerrie to the emergency room where it was discovered that she had retained placenta from the earlier loss. The couple tried one more time to add another child to their family. And we know that for those who love God all things work together for good, for those who are called according to his purpose. For those whom he foreknew he also predestined to be conformed to the image of his Son, in order that he might be the firstborn among many brothers. And those whom he predestined he also called, and those whom he called he also justified, and those whom he justified he also glorified. What then shall we say to these things? If God is for us, who can be against us? Though Kerrie said she found herself wondering why, the couple clung to their faith in a sovereign God. And as Jerred and Kerrie look back on this time in their lives, they can also see how God used that time to shape them for things that would come later and give them a biblical foundation for God’s sanctifying purposes in suffering. And with that in mind, Jerred and Kerrie said they continue to learn God's purposes in suffering. Even when the couple wrestled with guilt--wondering what they could have done differently to prevent the losses--they continued to come back to surrender to God’s sovereignty and the belief that He can bring beauty from their pain. October is miscarriage and infant loss awareness month. For 1 in 4 pregnancies, loss is a reality. If pregnancy and/or infant loss is part of your story, please know you aren’t alone. The “Stories” series was largely influenced by Jerad C. Wilson’s book “Gospel Wakefulness.” In the book, Wilson defines his terms this way: "gospel wakefulness means treasuring Christ more greatly and savoring his power more sweetly [than before]" OR "an experience of such power--of such awakening--that it persists and endures, settling deep into the heart and the conscience of a believer that it carries through all emotional highs and lows." 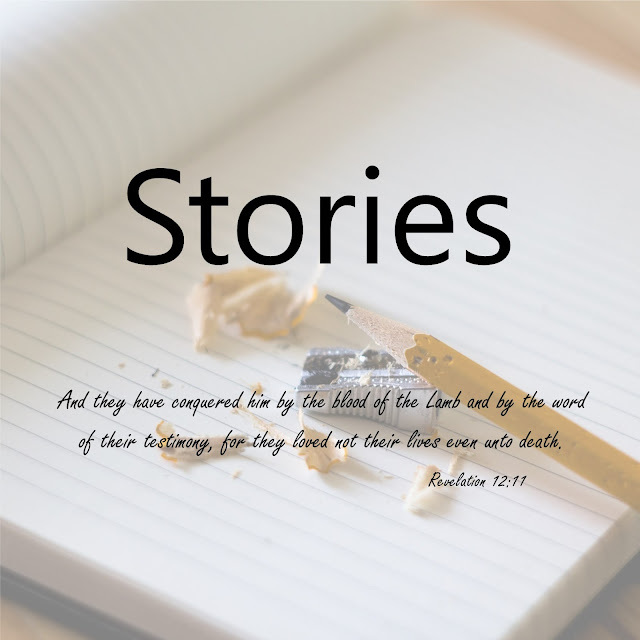 In keeping with those definitions, I have tried to write the articles in the “Stories” series to encourage the body to testify to the power Christ has in our daily lives by sharing our individual stories of Gospel wakefulness.